These custom painted kitchen cabinets in Jacksonville went from medium oak builder’s grade cabinets to a new and trendy off white painted surface. We sanded the existing polyurethane coating off of the cabinet boxes, fronts, door fronts and backs and the 1/2″ lip that is exposed when the doors are in the open position. 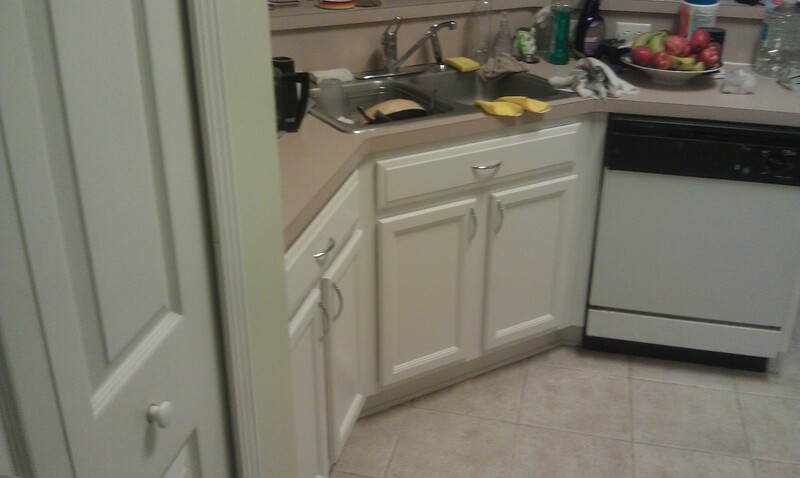 When closed the cabinets should look originally painted. It’s all about the prep and the material grades in this line of work. First the “de-glossing effect of extreme sanding, dusting, shop vac ing and damp ragging that goes on is insane!! Then we let the wood dry overnight with a fan on them for increased dryage. The next day is all about the primer, oil-based that is!! More drytime to seal our newly opened and dried out doors and fronts. Then back to the sanding board, I mean…. Yup!! More sanding!! Light sanding, dusting, a final shop- vac ing before applying first coats of ProClassic Oil-enamel to everything!!! A little stinky but well worth the discomfort!! Two coats of that and a good 40 hour dry session, until Joila!! 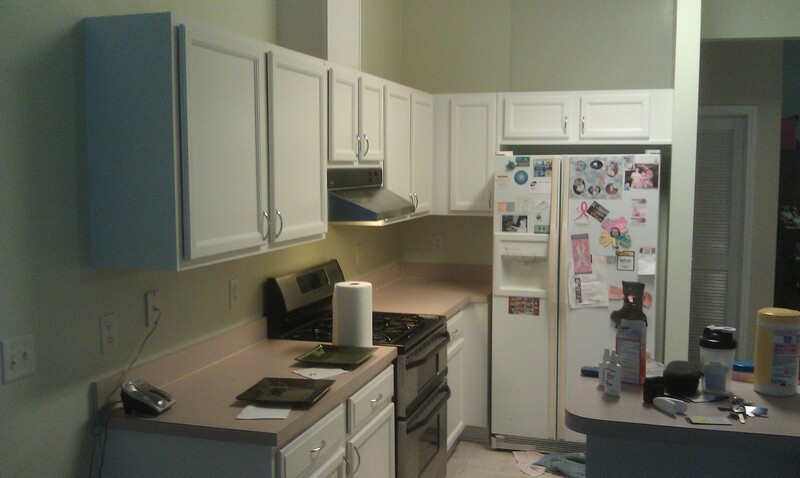 Contact us if you’re looking for someone to work on your custom painted kitchen cabinets in Jacksonville.